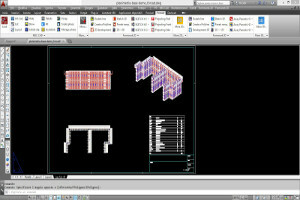 FOR CAD is a professional BIM-oriented tool which helps designers to easily draw and manage formworks. Creation of technical drawings and assembling schemes, views and sections. This versatility derives from the choice of using the powerful CAD design engine and of adopting open standard formats (dwg) which ensures a complete integration with BricsCAD or AutoCAD. It is possible to use and work on existing 2D/3D projects, plans, images with a big gain in productivity and designing precision. In case of complicated structural detailing, the designer can intervene manually using the CAD command; inserting all formwork components it is always possible to make any manual change. 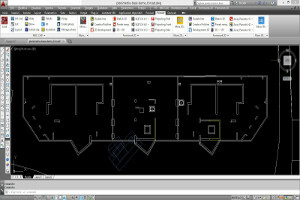 FOR CAD is an add-on that can be used with AutoCAD (version 2009 or newer) or BricsCAD (V12 Pro or newer). 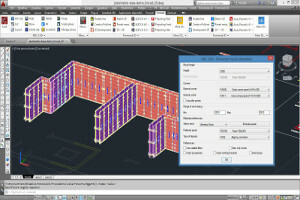 It inserts an additional menu and many commands and shortcuts to facilitate scaffold drawing, but at the same time you can use standard CAD commands (import, layout creation, copy, paste, move, etc.). 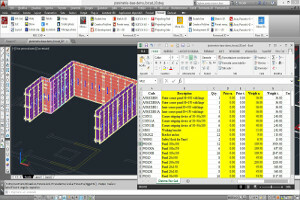 FOR CAD is a parametric software that can design any type, brand and model of formwork. FOR CAD is always supplied with two generic libraries equipment (see picture below); user may add other catalogue/libraries, already developed by MEC CAD for the main formworks manufacturers. The Customer can ask MEC CAD to develop formwork libraries/databases on his behalf starting from technical drawings and relevant information. 4D design is a technology which combines the standard CAD drawing in 3D with time-related information. This allows our software users to fully control and plan building sites progress and material movements (phases). With FOR CAD it is possible to design setting working phases; this method allows to plan and optimise the assembling phases and material quantities needed. Projects which are developed with FOR CAD can be imported in BIM systems. FOR CAD works directly in BricsCAD® BIM , or thanks to standard format DWG/SAT adoption it is possible to import the scaffolding project in other BIM too, such as REVIT®; developed by Autodesk®. As flexible tool as it is, FOR CAD suits any user’s needs. Two different solutions and two different configurations can be implemented depending on user’s assets and skills. With FOR CAD it is possible to draw starting from a plan or from a conveniently elaborated image. 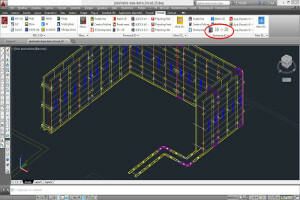 FOR CAD works in a dwg standard environment; supported CADs are AutoCAD and BricsCAD. All their commands can be used together with FOR CAD ones. Thanks to a simple command the designer can determine every feature of the formwork and develop it in the most detailed way. The development may be conditioned to warehouse assets or already determined phases. It is always possible to change and integrate any particular. 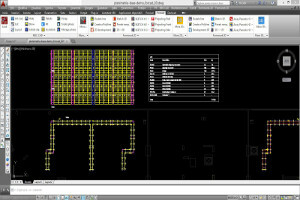 FOR CAD creates precise bills of materials and provides accurate reports which are useful to manage warehouse, transportation and construction site. It is possible to create BoMs that highlight gaps among phases and warehouse. Bills of materials are produced in open standard formats, which can be easily integrated with other softwares. FOR CAD allows to draw up accurate 2D working drawings in few, simple steps. Starting from the plan it is possible to automatically create frontal and lateral prospects. 2D mode ensures maximum productivity for working drawings.